The Aztecs were Nahuatl-speaking people who lived in central Mexico in the 14th to 16th centuries. Their tribute empire spread throughout Mesoamerica. The Maya people lived in southern Mexico and northern Central America — a wide territory that includes the entire Yucatán Peninsula — from as early as 2600 BC. The civilization’s height was between 250 and 900 AD. 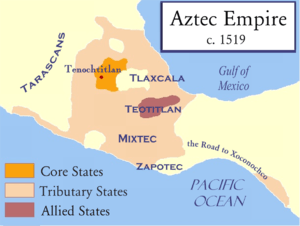 The Aztec Triple Alliance or Aztec Empire (Nahuatl: Ēxcān Tlahtōlōyān) began as an alliance of three Nahua city-states or "altepeme": Tenochtitlan, Texcoco, and Tlacopan. These city-states ruled the area in and around the Valley of Mexico. The Maya is a Mesoamerican civilization, noted for the only known fully developed written language of the pre-Columbian Americas, and for its art, architecture, and mathematical and astronomical systems. Nahuatl, still spoken by about 1.5 million people, mostly in central Mexico. Mayan languages are spoken by at least 6 million indigenous Maya, primarily in Guatemala, Mexico, Belize and Honduras. In 1996, Guatemala formally recognized 21 Mayan languages by name and Mexico recognizes 8 more. Tenochtitlan Many city states over time. One major Mayan city was Chichen Itza, 1000 to 1450 CE. Mexico Mexico, Guatemala and Belize. Monarchy Government was an important part of the Maya civilization. Priests ran governments, ruled cities, led ceremonies and performed many other jobs. The Aztecs lived in central Mexico. Often, “Aztec” is used to refer to people who lived in Tenochtitlan, which is now Mexico City, on an island in Lake Texcoco, but may also refer to their allies, the Acolhuas of Texcoco and the Tepanecs of Tlacopan. The Maya people spread from southern Mexico, through to Guatemala, Belize, western Honduras and northern El Salvador. A map of the Aztec Empire before the Spanish conquest. Location of the Mayan civilization in Central and South America. According to legend, the Aztecs saw a vision telling them to settle on an island in Lake Texcoco, which they did in 1325 CE. The city lasted until 1521 CE. Archaeologists have discovered evidence that the Maya lived in Belize in around 2600 BCE, and it’s generally accepted that settlements existed around 1800 BCE. The civilization saw its peak between 250 and 900 CE. The Aztec Empire began with an alliance between Tenochtitlan, Texcoco and Tlacopan in order to defeat Azcapotzalco. Tenochtitlan became the dominant city in the alliance, and their empire spread through both trade and military conquest. It controlled its states through installing rulers, constructing marriage alliances, and asking for tribute. The Empire reached its greatest spread in 1519 CE, just prior to the arrival of the Spanish in the area. Maya civilization existed from 1800 BCE, but these settlements were widely abandoned around 100 CE. There was large scale reconstruction between 250 and 900 CE, known as the Classic period, when the Maya built many independent city states, built temples and palaces, developed a hieroglyphic writing system, and developed long distance trade with other Mesoamerican cultures. Hernan Cortes conquered Tenochtiltan in 1521, supported by a large number of indigenous allies. The city was destroyed. The Spanish then founded a new settlement, Mexico City, on the site of the capital, and began colonizing Central America. Smallpox broke out in 1520-21 and played a vital in the fall of the city, with between 10% to 50% of the population succumbing to the disease. The Maya southern lowlands went into decline in the 8th and 9th centuries and were abandoned. There are many theories for this decline, including overpopulation, foreign invasion, revolt, and the collapse of trade routes. 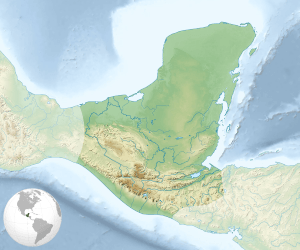 The Northern Maya cities continued to flourish until the Spanish conquest. It took the conquistadors 170 years to establish control over all of the descendants of the Mayas. The Aztecs created a large empire across Mexico through tribute and trade. They built many pyramids, some of which still stand today. The Mayas had the only known fully developed written language in pre-Columbian America. 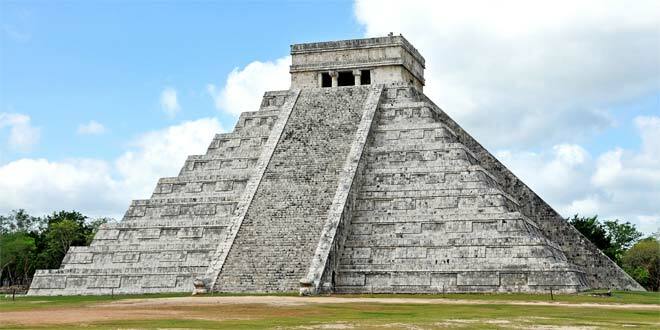 Their most notable monuments are the stepped pyramids and the palaces built for Maya rulers. Although Tenochtiltan was destroyed, many notable sites remain in the Valley of Mexico. The ruins of the Templo Mayor were excavated in Mexico City in 1978. There are many major Maya sites, including Altun Ha, Cancuen, Coba, Copan, Caracol, El Mirador, Naranjo, Tikal and Yaxha. Many cave sites are also important to Maya archaeology, including Jolja Cave, the Candelaria Caves and the Cave of the Witch. Aztec civilization was built around corn cultivation. Society was divided between “pipiltin” (nobles) and “macehualli” (commoners), and was led by an Emperor. The Aztecs also had slaves, and individuals could become slaves due to debts, as a criminal punishment, or as war captives. All children were educated until age 14. Aztec civilization did not have draft animals or wheeled vehicles, and so roads were designed for travel on foot. 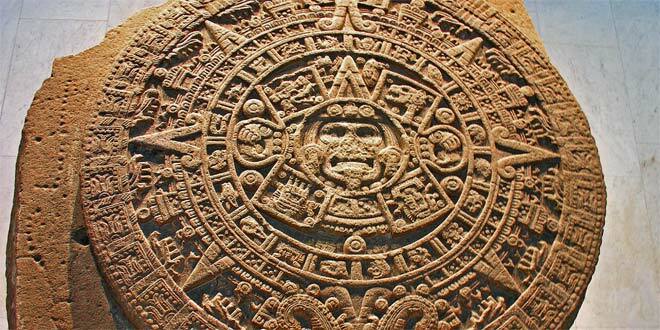 The Aztecs worshipped Huitzilopochtli, the personification of the sun and war, and practiced human sacrifice. According to one record, 84,400 prisoners were sacrificed in four days for the reconsecration of the Great Period of Tenochtitlan in 1487. The Mayas typically lived in independent city kingdoms, led by a king and his royal household. They also lacked draft animals, wheel-based transportation and metal tools. The Mayas used a writing system that combined phonetic symbols and logograms and a base 20 and base 5 numbering system. They used a 365-day calendar based on sun movement and believed in a cyclical nature of time and in three planes: Earth, underworld and heavens above. They also practiced human sacrifice. Most modern-day Mexicans are of mixed Aztec and European ancestry. A large amount of Aztec poetry survives, as it was collected during the conquest. The most important collection of these poems is Romances de los senores de la Nueva Espana. 1.5 million people now speak the Nahuatl language, mostly in mountainous areas in central Mexico. Many areas in Mexico City retain the original Aztec names. Mayan languages are still spoken in rural areas in Mexico and Guatemala. The Mayas' astrological observations and calendar have also received a lot of attention recently, due to the incorrect belief that the end of the Maya calendar predicted the end of the world in 2012. Thanks so much for this! I love this site. I visited Chichen Itza yesterday and got confused between the 2 civilizations, so this really helped clear things up.